The two wells will feed into an energy starved, giant, domestic market: India. Operating in India for nine years, these two production wells are further proof that OEX can successfully operate in this up and coming nation – where it has first mover advantage. India is the fourth largest energy consumer in the world – but most of its hydrocarbons are imported for between $8.50 – $10 MMBtu. Demand for energy can only increase as India grows richer. OEX has positioned itself as a first mover to meet that demand – exploiting unheralded domestic energy sources and implementing North American technology that has changed the oil and gas industry paradigm since 2009. 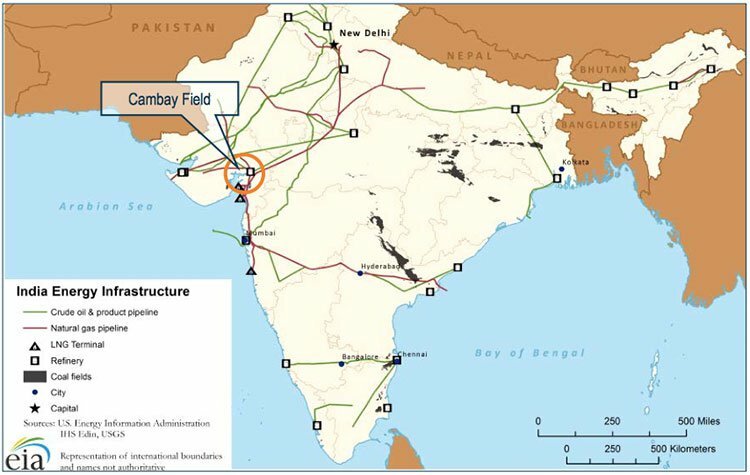 OEX has already completed a proof of concept well in the prolific Cambay Basin in Gujarat State – India’s industrial heartland – using advanced horizontal drilling and fracking techniques, the same that fuelled the tight oil and shale gas boom in North America. This is the first time these methods have ever been used in India, and now OEX is set to bring a further two production wells online in H1 of 2016, selling gas directly to the Indian markets at a premium price, but still cheaper compared to imported LNG. OEX enjoys strong government support and the Cambay Field is immediately adjacent to high quality infrastructure, including a network of gas pipelines owned by its partner, Gujarat State Petroleum Corporation (GSPC) which the company can supply into. OEX is currently trading at a significant discount on a 2P Reserve/USD basis – this is likely due to perceived ‘country’ risk. This should all change once these production wells are drilled, presenting strong potential for a re-rate to OEX’s share price. There is no guarantee on OEX’s success however, and the company remains a speculative investment. 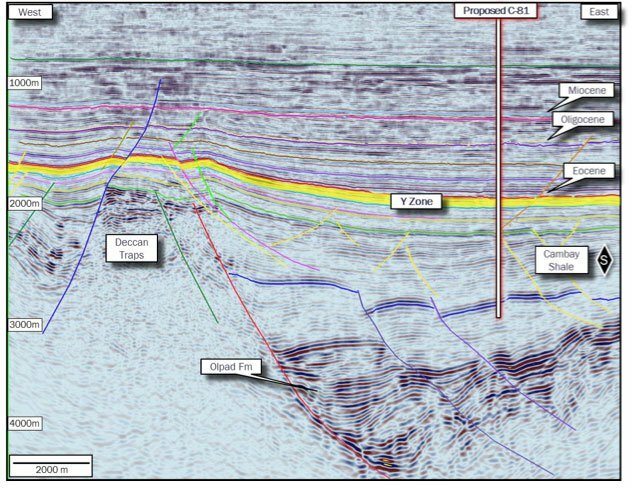 Right now, OEX is already securing long lead items for its production wells, and is moving quickly to establish an advanced asset in a proven field – just the kind of activity that catalysthunter.com looks for. Read on for more information on OEX and its imminent re-rate potential. 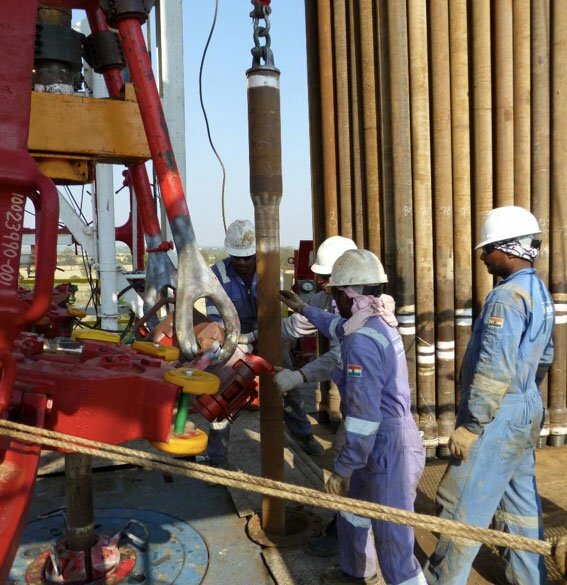 OEX’s 2P Reserves are anticipated to support a plateau gas production rate of 50 million standard cubic feet per day (MMscfd) rising to 125-250MMscfd when combined with the Contingent Resources still to be proved up. Once the current capital raise is complete, OEX will rapidly move to drill their production wells and consolidate their position in the emerging Indian market. 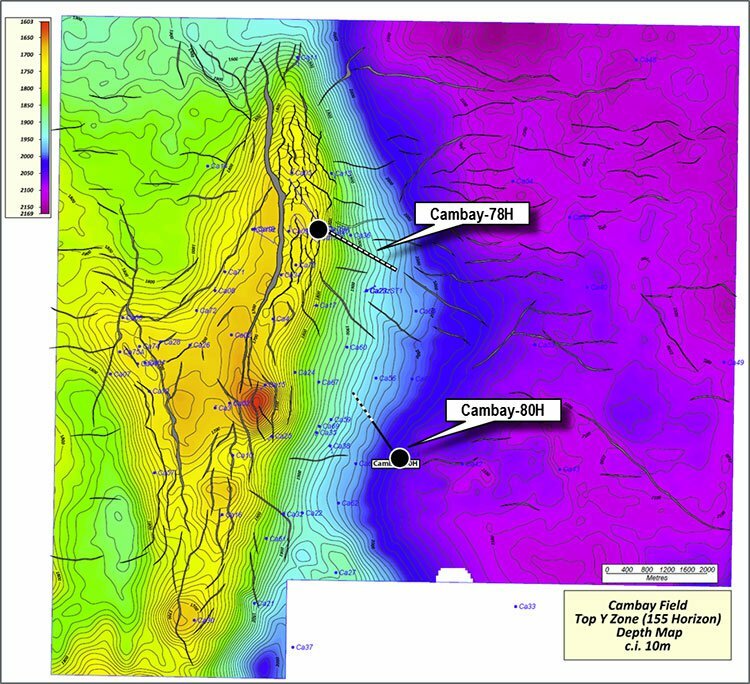 Following the drilling of the 2 upcoming wells, OEX seek the necessary approvals to drill the first of the contingent wells – Cambay-81 – that will target upgrades to the Contingent Resources at Cambay within the X and Y Zones, followed by four more contingent wells if needed. Since our first article on Stonehenge Metals (ASX:SHE) Acquisition of Breakthrough Wave Energy Technology , SHE has risen over 750%. OEX reckons on achieving sales of over $8+/MMBtu for any gas it generates from its Cambay Field, representing a strong potential margin. Cambay gas is relatively hydrocarbon liquids-rich, providing increased relative profits. OEX’s goal is to bring large oil and gas resources online at its Cambay Field in Gujarat – India’s industrial centre. It wants to use the region’s high quality infrastructure and its close relationship with the Gujarat State Petroleum Corporation Ltd to reach the vast domestic markets directly. OEX’s production wells will be drilled close to an existing pipeline network that has spare capacity – and JV partner Gujarat State Petroleum Corporation Ltd can help negotiate sales and access agreements. 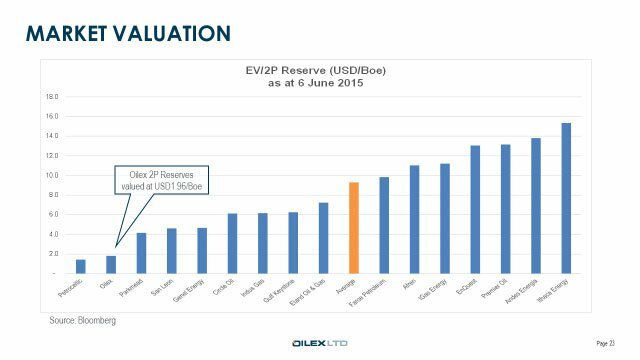 Despite progressively working up proven resources and advanced assets in an area of great demand, OEX has not seen great increases in its value, with its 2P Reserves valued at under US$5/Boe. This gap in market value is likely due to perceived in-country risk – India has a reputation for being a difficult place to do business. Phillip Capital analyst Andrew Shearer theorises that a perception issue with the nature of doing business in India may be affecting OEX’s position in his recent report on OEX . Many coal and iron ore companies have historically experienced difficulties gaining a foot hold – and although there are differences between the minerals and oil and gas sectors in that they operate under different legislative regimes, Shearer says the negative impression can bleed over. The upcoming spudding of two production wells in the Cambay Field could then serve a dual purpose – establishing OEX as a viable energy producer in India as well as proving oil and gas investment can be successful in India. Most importantly, once OEX drill their upcoming wells we would expect this perceived country risk to be well and truly eliminated, providing an unencumbered path to share price appreciation for OEX. At the same time, like all stocks, there is a risk the company will devalue as well – success is no guarantee. As H1 of 2016 approaches, the coming months will see OEX ramp up toward two drilling events at its Cambay Basin project in India. The spudding of two production wells could simultaneously unlock the value of OEX’s entire 40,000 acre project area and bring the company positive cash flow from sales to India’s energy hungry domestic markets. In addition, the success of these wells could position OEX as a frontrunner in applying advanced fracking techniques in India to unlock new resources. This would convince the markets that energy investment in the sub-continent is viable – and profitable. These elements position OEX for significant upside, and as it accelerates its plans toward the spudding of the production wells, a steady stream of catalysts, could flow as the company ticks off one milestone after another to bring it all about. 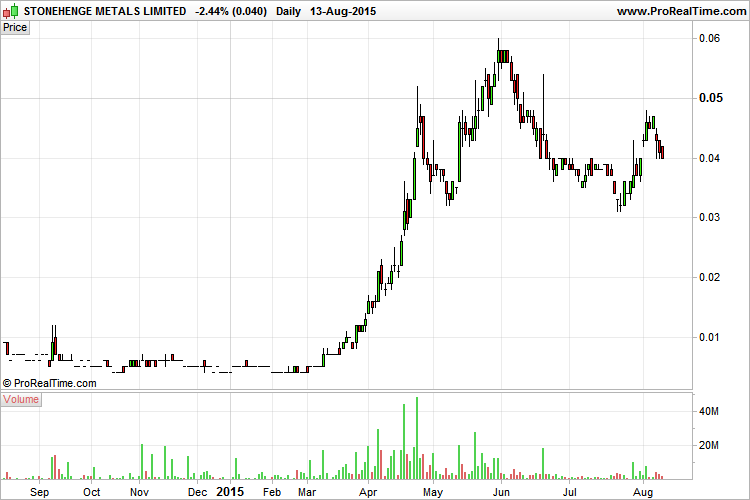 Oil and gas drilling has its risks, and OEX is no different – it’s a speculative stock. However if OEX meets success, it will have cracked one of the world’s biggest energy markets, with a strong first mover advantage.